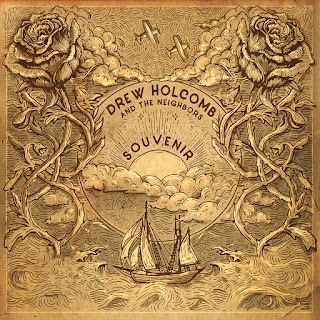 Immerse yourself into any record of Drew Holcomb and you re-surface refreshed, re-vitalised and truly inspired that the spirit of song can make a difference. This East Nashville based artist scored high when his last two records were released in the UK and the new one SOUVENIR is set to do likewise when widely available. What you get when you listen to this accomplished singer-songwriter is a cultivated sound, awash with swathes of sophisticated simplicity. The songs are strong on melody and the lyrics are incisive in their ability to tell a story, express an emotion or paint a picture. 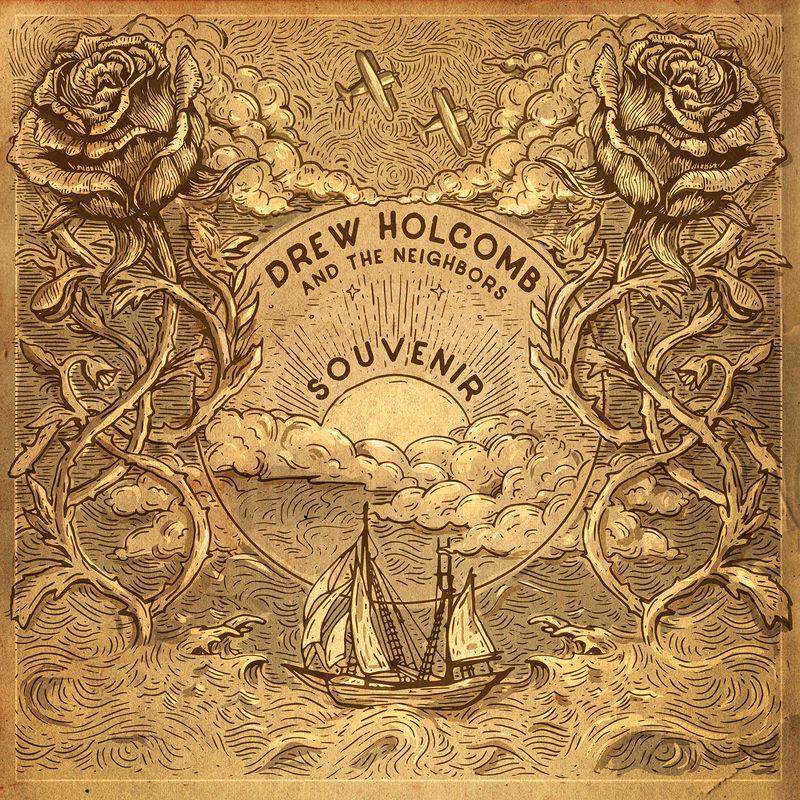 On the writing front for this record, once again released on Holcomb’s own imprint Magnolia Music, Drew has teamed up with buddies Rich Brinsfield and Nathan Dugger to offer an eleven-song collection rich in material straddling the blurred boundaries of country, folk and rock. In essence Americana is the purpose built vehicle to transport these songs to a waiting public. Contrived album fillers are nowhere to be seen. Five songs immediately jump out to be contenders for that very English phrase – first among equals. In album order, ’California’ is found early on and pans out to be a metaphorical love song to the Golden State, sealed by the stellar line ‘I always wondered where the sunset ends’. ‘Sometimes’ is nestled in the centre of the running order and its piano accompaniment throws up images of John Lennon in classic singer-songwriter mode. This is followed by the jovial ditty ‘Mama’s Sunshine, Daddy’s Rain’ with its contagious chorus. To break a usual rule, “front porch folk” lifted from the press release sums this song up perfectly. In the album’s final stages, ‘Postcard Memories’ brims with superlative quality, while penultimate track ‘Yellow Rose of Santa Fe’ is a delightful country fuelled song revealing what the souvenir implied in the title is. Consistency is also the key to the strength of this album. While there may not be an absolute heavyweight track to carry it to a pinnacle, the undercard is incredibly strong. ‘Fight for Love’ is an out and out rocker written as a response to last year’s US election, while on a topical theme, album closer ‘Wild World’ is a simple cry for more equality in life. To bring the track listing to a conclusion, ‘Rowdy Heart, Broken Wing’ and ‘New Year’ are two of the more sensitive offerings, ‘Black and Blue’ starts that way until evolving into a rockier piece and ‘The Morning Song’ gets the album off to a steady start. The general diversity of the songs, along with an accessible structure, makes SOUVENIR a relatively straightforward record to enjoy. 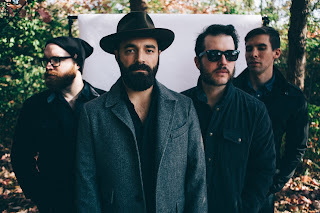 The album is once again credited to the band Drew Holcomb and The Neighbors (we won’t split hairs on the spelling). Exploring the top notch writing and smoothened sound make this record an easy one to recommend and hopefully there will be the opportunity for a tour to make the same impact over here that GOOD LIGHT and MEDICINE made. The new record is a seriously good extension of these releases and builds upon the impressive past work.